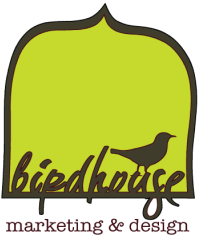 simply stated, Birdhouse marketing & design helps small businesses do more of whatever it is they do. based in Boston, mass., birdhouse marketing & design is a full service marketing, advertising, and Public relations agency that helps small businesses in all industries to develop and strengthen their brands. we implement marketing strategies that reach and resonate with our clients' target audiences, and that ultimately generate brand awareness and drive sales. our capabilities include branding and strategy, website design, online marketing, social media marketing, content marketing, copywriting, print advertising, and public relations. we stay abreast of industry trends and new technologies so our clients can stay ahead of their competition. Our process works. It really does. we dive right in, gather insight from your target audience, scope out the competition, and develop a marketing strategy that will effectively reach your business objectives. based on your marketing plan – and with your brand identity at the core of our efforts – we begin designing any corporate collateral or marketing materials you may need. we put your marketing plan into action, making sure it runs like a well-oiled machine. we meet deadlines, keep a tight schedule, and follow through on our promises. we regularly monitor web analytics and other key data in order to better direct your marketing efforts. we also address new MARKETING needs AND ADJUST TO ANY iNDUSTRY changes.